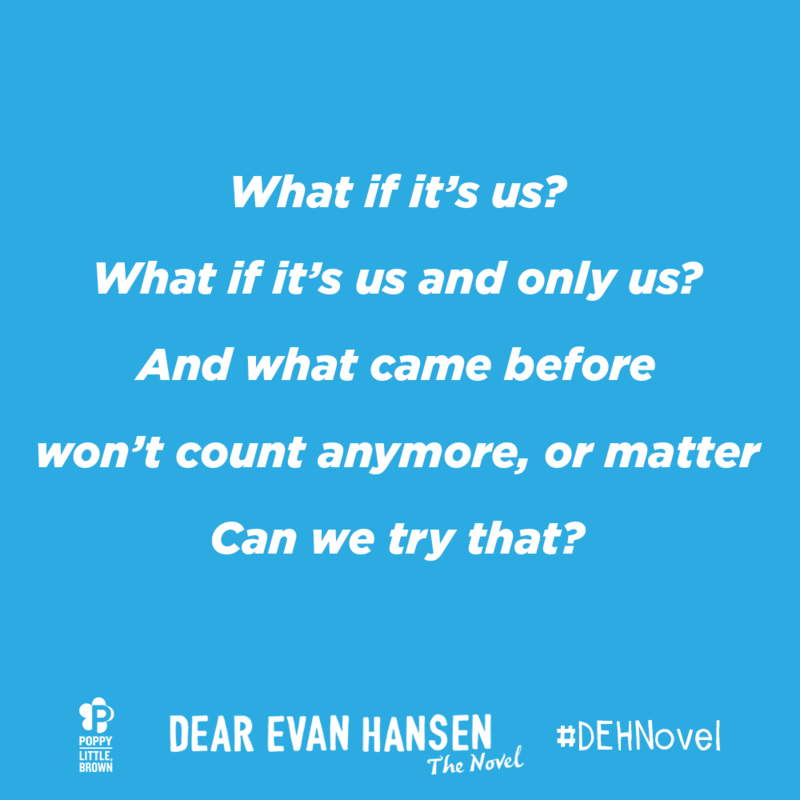 Hi I just found out that Dear Evan Hansen is going to be adapted into a YA novel and I’m fighting the urge to cry happy tears at my desk. "I found myself being able to connect more with the characters in this book more than I ever could from the musical. It dealt with so many issues that many of us experience in our lives." "I devoured this book quite fast. It was such a warm hearted light read with really big topics and a heart breaking story. The story, the plot, the characters were all so amazing and I loved every part of it. By the ending I found myself crying so hard and couldn't stop." "While it may have been a fast story to get through, it was not easy. There are very, very tough topics covered: suicide, bullying, lying, and more. Those are never easy to read but they cannot be easy to write about either." "The book touches on the topic of social media and its impact, and also how people's attention span on subjects can change so quickly and how that seems wrong like when the subject of a person's death is dismissed for the next, newest thing, which rang so true for events in real life." Val Emmich is a writer, singer-songwriter, and actor. He has had recurring roles on Vinyl and Ugly Betty as well as a memorable guest role as Liz Lemon's coffee-boy fling, Jamie, on 30 Rock. His debut novel, The Reminders, was a B&N Discover selection that Library Journal called “quirky, touching and addictive.” Emmich lives in Jersey City, New Jersey, with his wife and their two children. 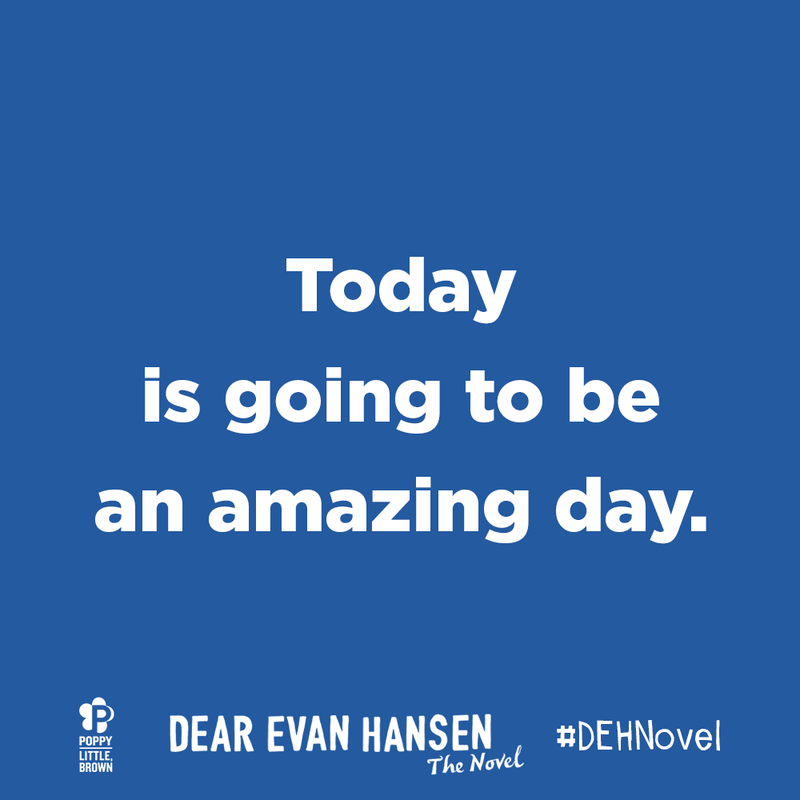 Announcing...DEAR EVAN HANSEN: THE NOVEL!